What’s next? #NEXT12 in Berlin | Wha’ever! Right. Here I sit, trying to get my head round what I want to see at NEXT during the following 2 days. The program delivers quite a lot for everyone and every taste. The hardest thing is choosing. It wasn’t easy last year, and it definitely didn’t get any easier this year. Great efforts have been made by the organisers it seems, and an army of no less than 42 official bloggers from 17 different countries will be reporting from NEXT (I am proud to be one of them, again 🙂 ). It is not only European bloggers this time, we get help from the US as well from Lebanon and I look forward to read the updates and different views from everyone. Best for you guys is maybe to follow the NEXT Facebook-Page for all linked blog updates, or you follow the NEXT blog , since some of us post here, too, in addition to on their own blogs. Dimitris’ latest article gives a great example that all of us are here to really discuss digital, and not to sweet-talk. 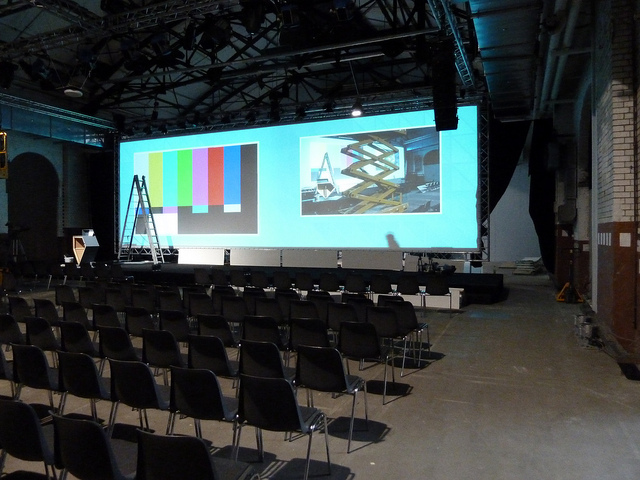 All updates (blog posts and tweets) from #NEXT12 official bloggers you can follow on the channel set up by Sebastien Flury . So stay tuned and follow us! 11.00 – 12.30 Connections This is part of the new Experience track, so I am curious to explore some new stuff. 13.30 – 15.00 I need a Dollar – with among others Claudia Helming, founder of DaWanda and Philip Rooke from Spreadshirt. The rest of the days will fill itself, I am sure ;). See you at NEXT then? If you want to meet, tweet me @anmara or (better!) send an SMS t0 +46 790 670 885. And one thing is sure. Tomorrow, this hall will be filled with REAL and DIGITAL LIFE! This entry was posted in Conferences & Events and tagged berlin webweek, next12, nextconf by anmara. Bookmark the permalink. How did it work with your schedule? I could not really stick to mine, but I saw great sessions anyway 🙂 Loved the Start-up track with Mike. Not too badly. I set the schedule each morning and pretty much kept to it, with one exception, when the room was just too packed.